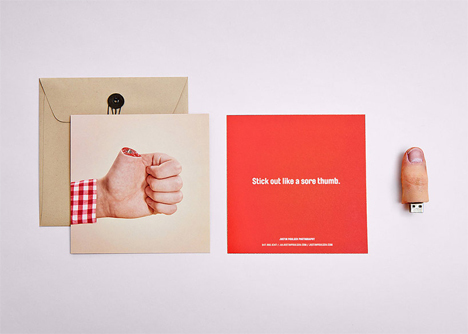 When you want to make a big impression, sending severed body parts to prospective clients is a pretty effective move. 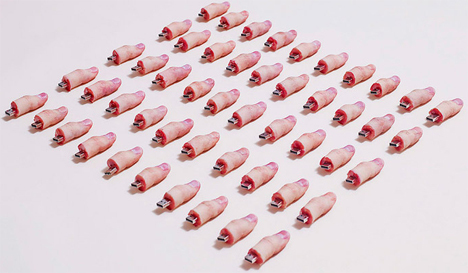 Photographer Justin Poulsen made 50 ultra-lifelike silicone “thumb” drives and sent them out to prospective clients. 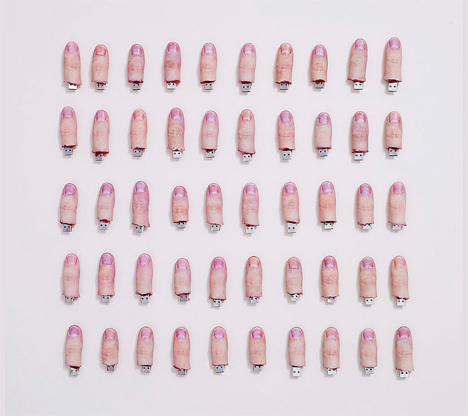 The promotional thumb drives went out pre-loaded with Poulsen’s promotional material as well as a fun animation of “loading thumbs”: a swirling circle of thumbs resembling Apple’s “loading” graphic. When the drives are plugged into a computer, they genuinely look like real human digits. Each was handmade and every one is unique, and they all feature realistically colored bloody stumps, cuticles, and thumbnails. The short video above shows the process the photographer used to create these creepy but decidedly memorable portfolios of his work. If you’re so inclined and have the patience to take on a project like this, it’s totally replicable at home – just remember to be careful where you leave your severed thumb lying around. See more in Do It Yourself or under Technology. February, 2015.